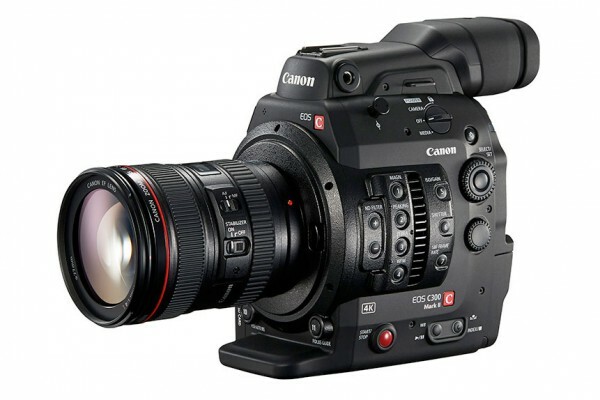 Canon has just released remedial firmware for their premier 4K workhorse the new EOS C300 Mark II. The latest Firmware 1.0.1.1.00 fixes some bugs with skipped frames at certain frame rates. This entry was posted in Post Production, Accessories, Cameras, News and tagged Canon C300 Mark II Firmware Update, Firmware Update, Cameras, 4K camera, Canon, Canon C300 Mark II on 9th November 2015 by Visuals. Swiss production company Lauschsicht recently took out the Canon C300 Mark II on shoot for Swiss Airlines and fell in love with the camera. This entry was posted in Cameras, News and tagged Canon C300 Mark II Review, Canon C300 II, Cameras, Canon, Canon C300 Mark II on 5th November 2015 by Visuals. Vocas recently invited Sony ICE and legendary DP Alister Chapman for a 2+ hour in-depth presentation on the latest Sony FS5 4K Camera. This entry was posted in Accessories, Cameras, News and tagged Sony PXW-FS5, Sony FS5, Vocas, Accessories, Cameras, 4K camera, Sony on 3rd November 2015 by Visuals. ARRI have released a new firmware update - Software Update Packet (SUP) 11.1 for their industry standard cinema cameras - the ARRI ALEXA XT and ALEXA Classic cameras with the XR Module upgrade. This entry was posted in Post Production, Accessories, Cameras, News and tagged ARRI SUP 11.1, Firmware Update, Cameras, ARRI Alexa, ARRI on 2nd November 2015 by Visuals. The Panasonic DVX200 Unique 4K Camcorder Just Landed at Visual Impact! Ever since it was announced at NAB 2015 back in April, the new Panasonic DVX200 has been at the tip of everyone's tongue. The first of its kind to use a 4K large sensor CMOS sensor and a fixed 13x zoom lens, made by Leica nonetheless, the DVX200 has a lot to offer, but also a lot to prove in an already crowded party. This entry was posted in Cameras, News and tagged DVX200, Panasonic AG-DVX200, Cameras, Panasonic, 4K camera on 30th September 2015 by Visuals.